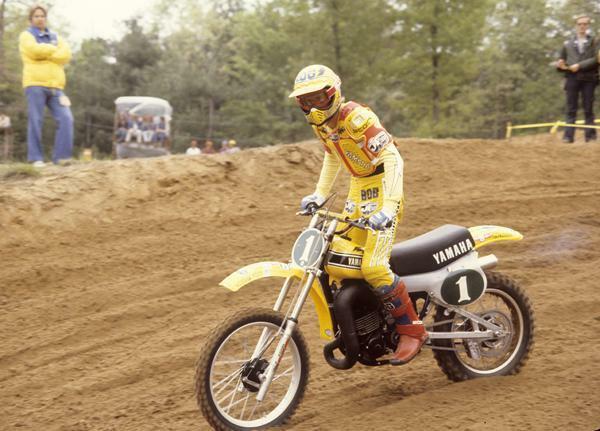 Bob Hannah kept rolling right into 1979 on his Yamahas, winning another AMA Supercross title as well as another AMA Motocross title. By 1978, AMA Supercross had grown to the point where it began to antiquate not only Trans-USA racing, but the 500cc class, as the top riders seemed to gravitate mostly to the 250cc class. This was also a time when privateer teams began to grow, as Fox Racing's team was joined by the likes of LOP Yamaha and FMF, Keystone and DG Racing in the pits. Meanwhile, brands such as Can-Am, Maico and Bultaco were disappearing from the ranks, as factory riders for those brands were being replaced by privately-backed and modified Japanese bikes that were technically superior—let alone the works bikes of the Japanese teams. Danny LaPorte would take the AMA 500cc Motocross crown and earn another MXA cover. Saddleback, arguably the hub of the motocross world at the time, finally joined the AMA Motocross tour, taking the place of nearby Escape Country, which was on the schedule for a single year in 1978 before being sold for housing. And a track just below Denver in Lakewood was added to the schedule, though it was not on the same spot of what is now Thunder Valley, which is on the 2011 Lucas Oil AMA Motocross Championship schedule. 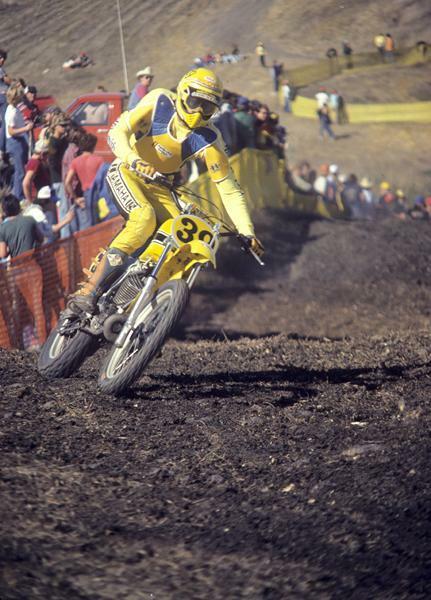 The legendary Saddleback became part of the AMA Motocross tour in 1979. 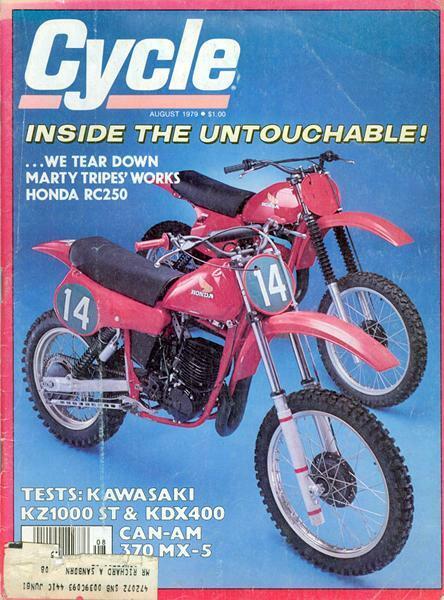 Marty Tripes' works Honda was claimed by a privateer and then tore down by a magazine. Tripes was involved in another wild story from '79 when his works Honda was “claimed” by a privateer named John Roeder at the opening round of the outdoor nationals. It was the first time a factory bike had been snatched like that, and the bike ended up in the hands of Cycle Magazine, which then tore it down to see just what Honda had put under the hood of Tripes' machine. To learn more about the bike, check this out from MX Works Bike. Hannah's younger teammate Broc Glover was once again the class of the 125cc class, winning the title there for the third time in a row in what was shaping up as a legendary motocross career. But Glover did find new competition in the form of Suzuki's super-fast newcomer Mark “Bomber” Barnett, as well as Brian Myerscough. After losing the 1977 AMA 125cc National title to Glover on a tie-breaker, Suzuki's Danny LaPorte avenged himself with a championship effort in the 500cc class in '79, narrowly beating Yamaha's Mike Bell by just three points in the closest title bout of the season. And in what was now called the Trans-USA Series, Howerton topped the almost-all-American field on his Suzuki. The highest-placing European in the five-race series was future world champ Andre Malherbe, who finished ninth in an abbreviated tour. That's Mike Bell at the '79 Trans-USA race at Sears Point in Sonoma, California.